Beneath the sewers of the Paris Opera House dwells a masked figure. 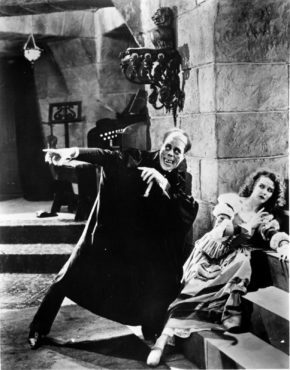 He is the Phantom, a hideously disfigured composer whose dream is to turn chorus singer Christine into a diva. Lon Chaney, the ‘Man of a Thousand Faces’, dominates this classic adaptation of the 1910 novel by Gaston Leroux. His ghastly make-up and outrageous performance made this one of the great classics of American silent film. Minima’s music is an audacious 21st-Century interpretation of silent and avant-garde film. The ensemble of drums, bass, guitar and cello combine hypnotic post-rock beats with quasi-classical arrangements, striking up a thrilling relationship with the film.